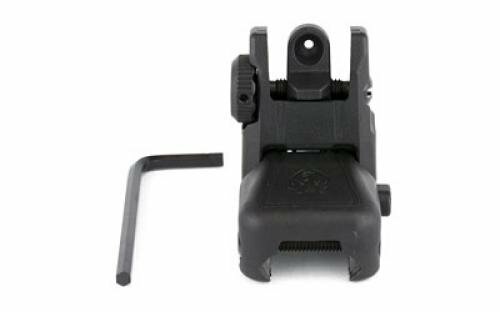 Custom-designed Ruger rapid deploy rear sight seamlessly integrates on the Ruger SR-22 rifle, ar-556 , sr-556, sr-762 and any modern sporting rifle with a same-plane Picatinny rail mounting system. This lightweight, polymer sight is windage-adjustable; folds flat to make room for optics and is spring-loaded to allow for rapid deployment with the push of a button. If you have any questions about this product by Ruger, contact us by completing and submitting the form below. If you are looking for a specif part number, please include it with your message.